Constitutional Crisis to Be Instigated by White House Over Supreme Court Striking Down Obamacare?! I just happened to catch the tailend of an expert-panel discussion on Megyn Kelly's March 28 show on Fox News at around 2:30 eastern time. The panelists were discussing the pending Supreme Court decision on the legality of various or all Obamacare provisions. The discussion ended with one of the panelists adding that the White House today is actively setting up their strategy at this very moment to attack the Supreme Court as partisan and as an invalid authority to judge this matter! I did not catch the man's name who was saying this and will look for video of that segment to appear on the Fox News site. But whoever he was, he reiterated forcefully that if the Supreme Court strikes down Obamacare, he "guarantees" that that will be the White House's studied reaction ... that the President--a so-called bonafide Constitutional law expert--is better suited to decide such matters--and that the legally constituted Supreme Court of the United States is a partisan and invalid authority. I say ... what?? If this is indeed what is about to happen--and the White House is actually about to try to castrate the Supreme Court over what they will try to characterize as right-wing, partisan politics, then I would have to suggest we are at the end game. Just thought I'd better offer this as a timely heads-up. All we can do is watch what happens now and be ready to do whatever is necessary in your AO. ‎Five more days to reach our goal of 1500 Facebook likes. If we make it, we draw SIX winning names from among our likes (rather than just one) on April 1. We can make it if you share our page with YOUR friends. First prize is winner's choice of Mountain House freeze-dried food (value of up to $400)! Additional prize would be Mountain House Best Seller kits! I'm feeling a little wicked today so decided to try something here we haven't done before ... a Flash Sale (applicable to U.S. customers). And of course, everything also ships free to the US mainland. Check our latest product additions at Safecastle and use the coupon code above BEFORE midnight eastern time, Saturday, March 24. Some cool and useful stuff, for sure! 1. 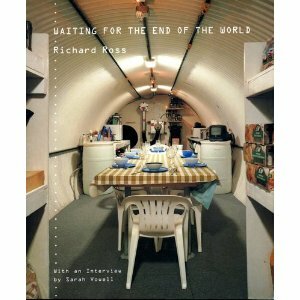 From the customers who use the coupon code above before it expires, we will award a set of three new books we found stashed in our warehouse--some classic titles about shelters, and the the Cold War survival culture, including the title pictured here that is out of print and is quite valuable on the market in the new condition this book is in. 2. On April 1, we will draw from our Facebook "Likes" one winner for their choice of a Mountain House can case. IF we reach 1500 likes by that date, we will also draw five more names to each be awarded a Mountain House Best Seller Kit! Just Like us on Facebook and you will be entered for this drawing and all subsequent drawing we run in the future. Finally ... remember--we now match any MH dealers' official sale-period discounts while adding our incomparable club member rewards for your Mountain House can purchases! Just let us know where you see a sale in progress and ask for our coupon code to get your matching discount/best deal!! 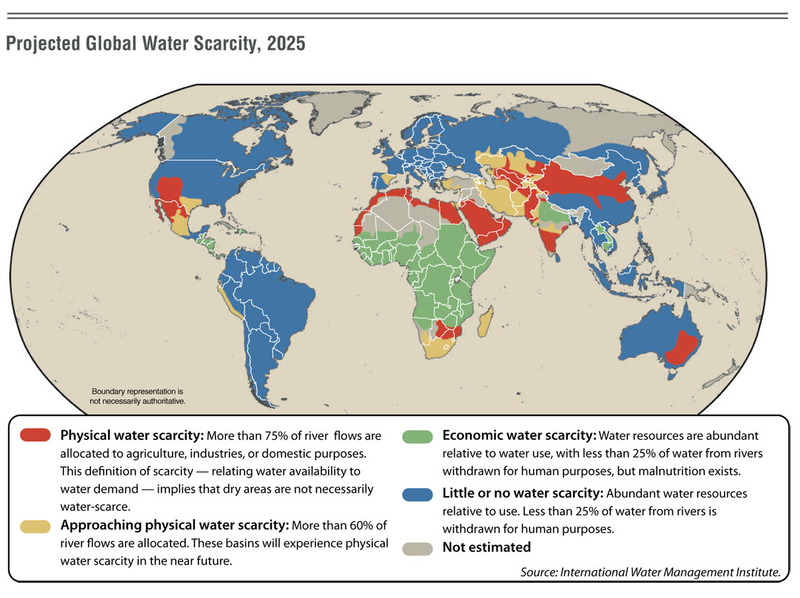 It's an obvious but understated issue of the times ... many populated regions of the world are on the verge of running out of water. If you think the worst-case scenarios for future international entanglements will hinge on economics, oil, or ethnic differences, think again. All of those things are surely emotionally charged and critical, dynamic issues that do stir up strife. But in the end, they are all negotiable. 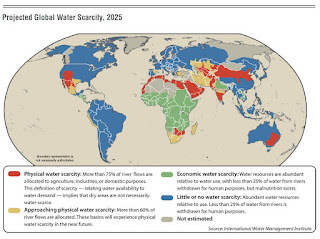 However, extreme water crises are without realistic solutions when they reach the point of no return. Without water, people die. Within a few days. There are geographies where water remains clean and plentiful ... where people can eat and drink and take it for granted. While in neighboring regions, cultures, economies, and nation states are painfully withering away. Peak water is near-term life or death. In the next 10 years, there are going to be major populations at severe existential risk. Quite simply, they will need to migrate in large numbers to areas where water and food supplies are available and at least theoretically sustainable. But the big question--will those mega-migrations strain available resources and put those areas at risk? Clearly this issue is in the fast lane toward geopolitical catastrophe. How long, if at all, will borders remain open to welcome those migrations? This is soon to become a top-line global issue--haves and have-nots in one the most far-reaching, basic "us or them" confrontaions the world has ever seen. You may be in an area where water is not in short supply, but do not think for a moment that this issue will not reach out and change your life. Labels: Natural disaster preparedness, Political realities, War, Why prepare? I was just invited to appear on the next season of NatGeo's "Doomsday Preppers." I respectfully declined. In a nutshell, we don't promote or prepare for Doomsday. Safecastle is about helping folks be ready for life's setbacks in general--storm damage, job loss, earthquake recovery, power failures ... these are the most common situations where people who are prepared can stay ahead of the curve and recover more quickly after the fact. "Doomsday" scenarios are worst-case scenarios that are obviously entertaining for the masses, and perhaps on some level motivating for folks looking to put traction into their own readiness activities. I personally acknowledge worst-case possibilities (Hurricane Katrina, the Indian Ocean Tsunami, and last year's Japanese quake and Fukushima nuclear disaster are a few recent examples of the dangers that exist even in a modern world), but I try not to affiliate our company with scare-mongering. It's sometimes a fine line where we have to talk about preparedness without going overboard. We look to appeal to serious, normal consumers. That said ... I will pass along the contact info where you can can get in touch with the Casting folks at NatGeo for this next season. They are actively looking for people who are seriously into preparedness. My hope is that some normal, mentally stable individuals with an abundance of common sense and good camera-presence will be found for the next season. Exactly the same is true of the Cascadia subduction zone—an almost identical geologic threat off the west coast of North America. When it was first discovered, many scientists thought Cascadia’s fault was incapable of generating giant earthquakes. Now they know they were wrong. They just hadn’t looked far enough into the past. The Cascadia subduction zone is a crack in the Earth’s crust, roughly 60 miles offshore and running 800 miles from northern Vancouver Island to Northern California. 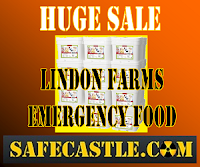 With all the recent sales activity in our storage food lines, we have failed to update you on our latest product additions at Safecastle. Some are really pretty cool. Check them out ... remember, all are discounted for buyers club members and ship free to the US mainland. Browse the entire "Newest" and "On Sale" categories. And remember--we now match any MH dealers' official sale-period discounts while adding our incomparable club member rewards for Mountain House can purchases! Just let us know where you see a sale in progress and ask for our coupon code to get your matching discount/best deal!! Now tell me everything's going to be just fine. New Michigan State Course: "Surviving the Coming Zombie Apocalypse" ... no, really! Blessings and thanks to all our nation's warriors ... from a proud veteran, father of a veteran, and son of one as well. Further--if we get to 1500 likes by April 1, we will additionally draw five more names from our Facebook fans, each for a Mountain House Best Seller kit. So be sure to share the link to our page with your friends to help us pump up that number. Speaking of Mountain House food--just a reminder that we match any MH dealer's sales price. That means, you get the sale price (remember, we are only allowed three two-week sales a year so when we can match others' sale prices, you're in like Flynn! ), free shipping, AND our very exceptional Royalty Member Rewards for your qualifying purchase!! 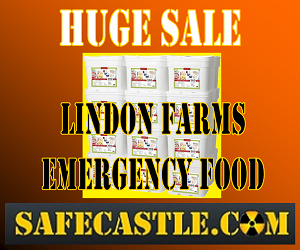 Finally, this is the last few days for the sale on those excellent Lindon Farms buckets that are normally bargain priced at Safecastle to begin with. Not sure if we're going to be able to run a sale like this again, as we've taken some sniper-fire from the manufacturer who is hearing it from other dealers. We're not cheating, but I guess we've read our dealer agreements a bit differently than what they are intended to mean. So don't miss this chance ... thru March 7 only, we are offering a coupon code you can use to knock an ADDITIONAL 15% off your member or non-member price! !